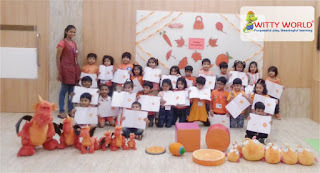 Of the beak of a parrot. 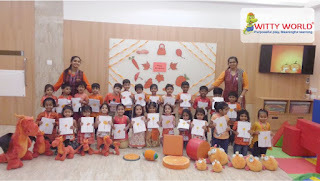 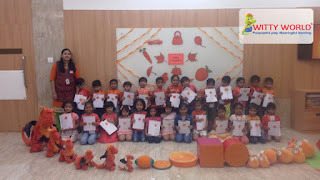 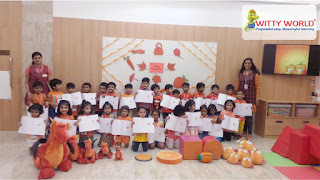 Children of Jr.KG celebrated “Orange Day” on Friday, 3rd August, 2018. 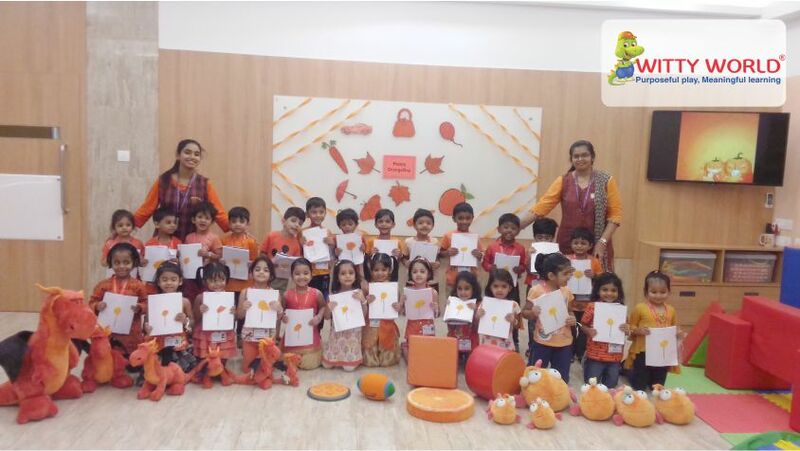 Orange colour stimulates enthusiasm, creativity, hope and prosperity. 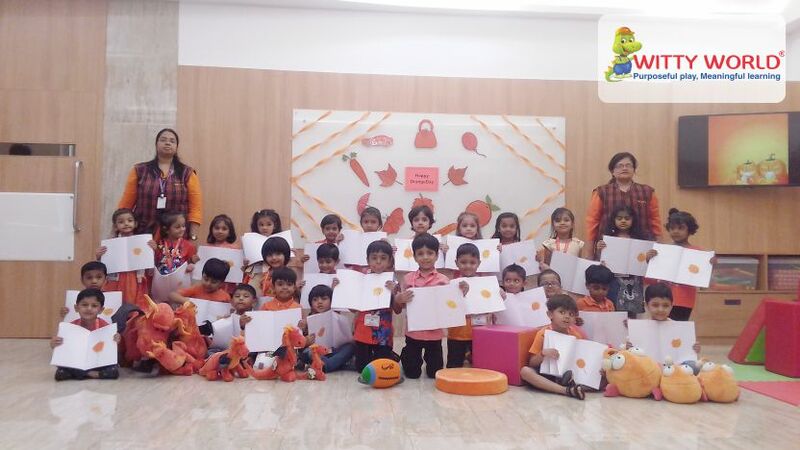 The teachers and children both were dressed in the shades of orange. 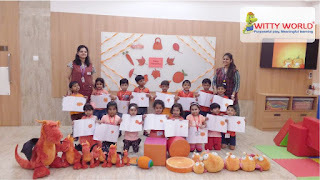 Children excitedly participated in the activity of creating the hues and tints of this color by blending red and yellow. 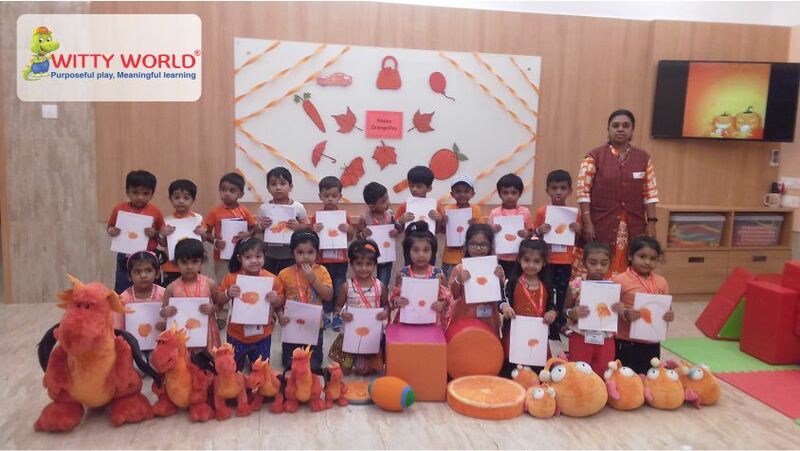 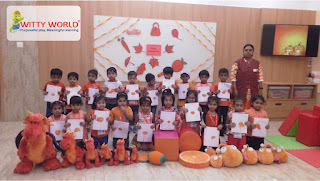 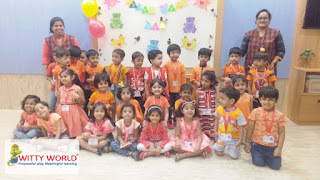 Children enjoyed a lot and it was indeed a pleasure to witness little ones dressed up in orange bubbling with energy and fascination.